First of all, the Timeless Design Letterhead Template is indeed timeless in its own way. This is because it is a very unique business letterhead template in its own right. Secondly, it is stylish and sophisticated in a simplistic kind of way that does define its diversity. No two letterhead templates are the same. This letterhead template specifically does outdo its own self in a number of ways. This is because it is completely customizable in every way. 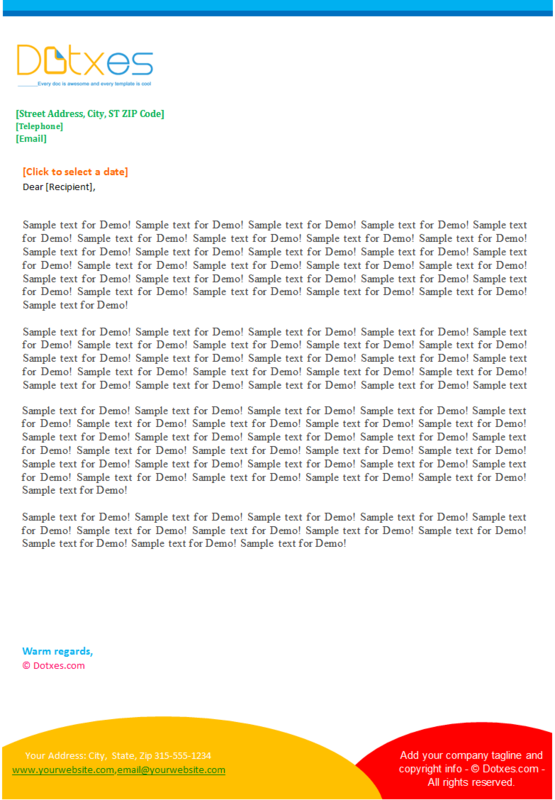 So, with this said, you can create your own letterhead in the way you want. The power of real creativity is on your side from a business brand aspect. You can change the colors, fonts, and even the text areas if you so wish. This letterhead template is truly timeless in having many features to make it come out just the way you require it to be for your business identity. Business letters that do have a timeless quality about them are often the letters that are the most impressive in detail. This is because they do go out of their way to deliver something and this something is a specialness that does indeed separate it from other ordinary letterheads.